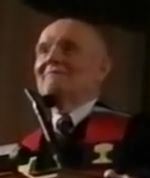 Ted Weeden from a video of him delivering a sermon. I like him better as a scholar than preacher. > coincidence is dismissed too casually. For example . . . .
> assassination of Abraham Lincoln and that of John Kennedy. > the case with the parallels between the two Jesus’. faculty of imitation was stressed at every stage of a student’s learning. worthy of imitation, such as Homer and the like (see 245f., 251-253). own creative hypertext (see MacDonald, 6). penchant for, almost love affair with, *MIMESIS*. expected his readers to detect and appreciate his free adaptations” (5). exists between the two “Jesus” stories.. . . . . The rest of the comment addresses criteria that can assist with controls a scholarly analysis of texts. Trafford had said we need such controls but Weeden points out the controls are not overlooked but in fact are the basis of establishing literary dependency. Thus ended the Lincoln-Kennedy challenge in the scholarly forum. Literary works are creative efforts. The concept of plaigarism is justified by our awareness that similarities in literary works call for explanation given what we know of human creative intent in a world of wider literary influences. Coincidence is always one possible explanation but it can never be a mere default position. Looking for historical analogies across a wide range of institutions and various media, pulling out a point in common in one institution and another parallel in another context, etcetera, is one thing; but studying two discrete creative works is and comparing the themes, images, structures of the those two compositions is quite another. Coincidence is always a possible explanation, but that explanation needs to be justified against other hypotheses and not merely assumed. Was Brian Trafford an alias for Tim O’Neill? O’Neill: As with most of Carrier’s arguments, this looks impressive until it is subjected to critical scrutiny and then the whole thing can be shown to be hopelessly flimsy. Trafford: Very simply, if one takes two events and looks for potential parallels, one can very often create a list that, on the surface looks rather impressive, but on closer examination does not really tell us very much. Parallels. But I suspect coincidence is at work here. The highlighted words are a kind of cliched collective — “looks good but wait…”. If, however, we found a string of such “cliched collectives” in common and in the same context of making the same argument, then we would become suspicious and begin to look for a common source or literary tradition of the way this particular argument is presented in various internet fora. We would still be some distance from making a case for a common author but we are looking for explanations that go beyond mere coincidence. And that’s what we have with the two Jesuses parallels. We should not assume that there has been direct literary borrowing because there are other explanations as the XTalk discussion amply demonstrates (e.g. a third oral or literary source common to both; a common literary matrix of interest in composing accounts of a messenger from God who is ignored and ironically suffers a tragic fate; Josephus mocked the Gospel of Mark…) but coincidence as an explanation needs to be justified and tested along with any other hypothesis. Posted on 2019-03-23 04:44:28 GMT+0000 by Neil Godfrey. This entry was posted in Gospel Origins, Parallelomania and tagged Fallacies. Bookmark the permalink. Another odd possibility? The myth or story of Lincoln is so hugely influential, Lincoln was such an admired figure, that in everyday life, some Americans subconciously tried to duplicate it, in their own lives. So for example, Kennedy and those around him would gave felt an odd – and to them inexplicable – compulsion, to choose for our civil rights leader, a potential successor named Johnson, etc.. The 1950’s science fiction movies “Invaders from Mars” (1953), “Invasion of the Body Snatchers” (1956), and the television show “Alfred Hitchcock Presents:”Special Delivery” (1959) all had aliens from outer-space taking over human bodies and emphasized children as special targets. These fictional accounts were reflections of the fears of a communist invasion that had been fanned in the late 1940s and early 1950s. “The Twilight Zone: The Monsters Are Due On Maple Street” (1960) used similar motiffs, but dismissed this as idea as dangerous paranoia. Mimesis is still the rule. Carrier (25 April 2016). “Bart Ehrman Just Can’t Do Truth or Logic”. Richard Carrier Blogs. A common logical error . . . many historians make is to say “My theory explains the evidence, therefore my theory is true!” They forget to ask if an alternative explanation also explains the same evidence just as well (or even better). The main way we categorize, typify things, is by looking for similarities in some of the things on the world; to find a class resemblance. Then? The way we remember things, learn things, is by repeating them in our minds. So repetition of similar impressions, ideas, is the core of much of human intellect. And it is further assumed or hoped that the models we memorize, will help guide our thoughts in characterizing, dealing with, many new events. Which will hopefully be similar to things we memorized in the past. I think the Jesus parallels could actually mean something as far as concerning history. JFK/Lincoln is just a novelty. I’d agree with Vardar’s main methodological point: that mimesis is all around. I add that even human intelligence itself (including memory, storytelling, analytical thinking ), depends on seeing the similarities between many things of the same type. Seeing classes of things. Then acting on that awareness. And of course, here we need to focus on its application to Jesus historicism specifically. If human brains depend on seeing similarities or patterns, then they often may impose them moderately, or immoderately. In the case of early creators of Jesus, likely they illegitimately imposed a master model on a variety of only loosely interconnected figures, material. The Lincoln Kennedy example is totally bogus. We are talking about literary parallels here, not cherry picked summaries from people’s lives. When we look at parallels like Jesus ben Ananias and Jesus Christ, we have only small sections of text. We know only a few small facts about Jesus ben Ananias, and the scene with Jesus Christ very closely matches those facts. With Kennedy and Lincoln we know thousands of facts about them, of which a few happen to overlap. This is apples and oranges, not even worth talking about. Note I point out several other reasons why the Lincoln-Kennedy example is inapplicable to cases of literary mimesis, having to do with the logic of probability, in On the Historicity of Jesus, p. 228 n. 187. It sounds like, once again, O’Neill doesn’t read what he claims to have read. Or hides what he has read from his readers. However, this is an invalid analogy for two reasons: first, the coincidences in the Lincoln-Kennedy case are all trivial and meaningless and most have no conceptual connection with each other (moreover, some are actually false; the number of ‘true’ coincidences is only fifteen): second, the amount of available data on Lincoln and Kennedy is vast compared to that on Romulus and Jesus or any other ancient person, mythical or historical (due to the enormous disparity in survival of sources and documents from the two periods). Combine those two conditions and the likelihood of a long list of parallels occurring purely by chance is high (since no rules govern which parallels ‘count’ and there are so many data points, so the frequency of random parallels is high). But when neither condition obtains, the frequency is not high. . . . The Lincoln-Kennedy coincidences, e.g., are often highly likely to occur between any two people (millions of people have the same number of letters in their name, for example); whereas the Romulus-Jesus parallels are not (how many people are hailed son of god? How many have the world covered by a supernatural darkness at their deaths? How many have their corpses conspicuously vanish? How many visit their friends on the road from their city in a resurrected body to commission them to spread their gospel? Etc.). Thus, even with a large database, twenty such parallels would be unlikely; it is only the more so with so small a database. 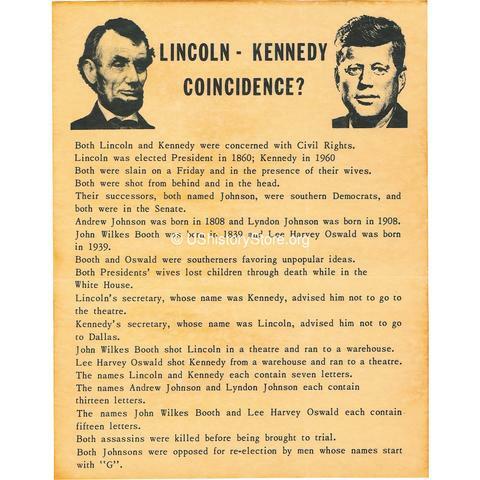 Most of the Lincoln-Kennedy coincidences have, again, no conceptual connection to each other (what has the year of a man’s birth to-do with the nature of his death? ); but the Romulus-Jesus parallels do all relate to describing the narratives of their deaths, and the religious aftermath directly connected thereto). Thus, the ability to find connected data points unconstrained by any parameters does not obtain in the latter case, greatly reducing the probability of even trivial parallels, much less substantial ones (e.g. if I get to count any coincidences between two people, I can always find some; but if I am required to find only coincidences pertaining to the accounts of their death, not so much—except insofar as I am counting things that (are frequently true of deaths in general, but none of the Romulus-Jesus parallels are such). . . .
Talking about literary parallels, what do you think about the possibility that Mark 15:1-16 is based on Josephus’s Ant. 18:3 ? My first reaction is that the connections are at too high a conceptual level to offer any certainty. A trial of a would-be criminal is a situation where the powers that be are in control and all is going according to plan; the case of the effigies is an affront to the powers that be and there is no due process under way.